Dental air abrasion or Particle Abrasion is fast becoming a common procedure in modern dentistry and has pioneered minimally invasive dentistry, desensitising and remineralising across the world. By removing the need for traditional drills or polishers, air abrasion units can now deliver a highly effective clean and stain removal, as well as efficient abrasion and decontamination to create the perfect platform for restoration or prep for veneers. Owning a dental abrasion unit that can cope with a wide range of treatments and procedures, including endo, ortho, implants, perio, paediatric, hygiene, whitening, veneers and restorative, is essential in modern practices. As well as durability and versatility, air abrasion units need to be easy to use, creating repeatable and predictable results consistently. With a vast range of powders on offer that can perform a multitude of abrasion, polishing, desensitising and remineralising procedures, finding the best quality powders is essential. Optident have hand selected some of the highest quality dental products that we think can revolutionise how dentists and hygienists clean, polish and restore. Browse our full range of air abrasion units, air abrasion powders and air abrasion tips. Optident also offer free dental air abrasion demonstrations to dental professionals in the UK. Fill out the demonstration request form to meet with one of our product specialists in your practice. Particle or air abrasion uses air at a high pressure to deliver a tiny volume of powder combined with a fine stream of fluid to remove debris, decontaminate and efficiently clean and polish teeth. Commonly used to prepare teeth for composites, air abrasion can also help to prepare for restorative procedures and now can be used for stain removal, cleaning, polishing, desensitising and remineralising too. 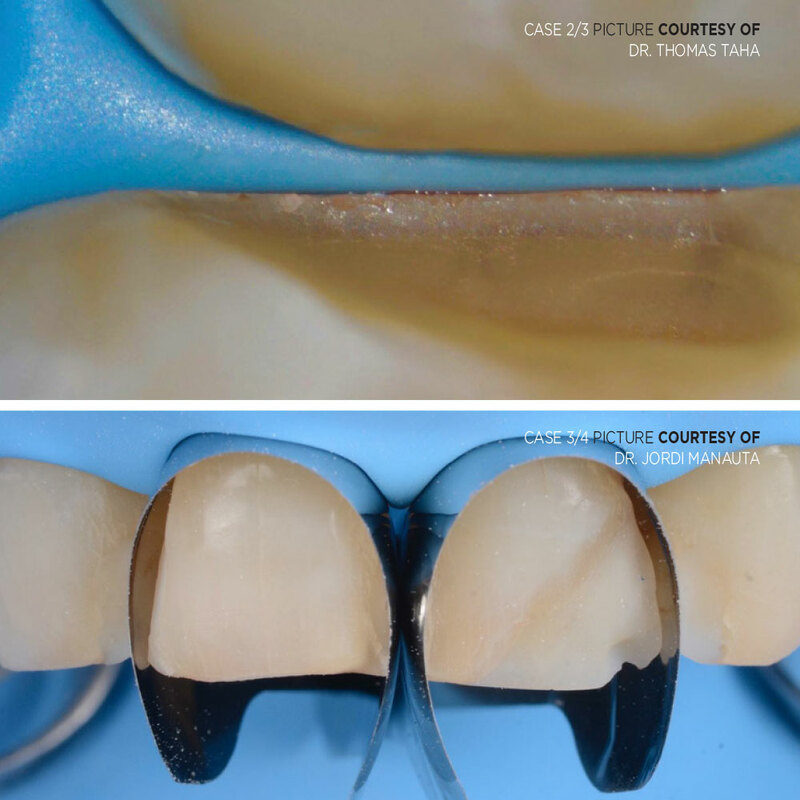 Compared to traditional handpiece and bur techniques, air abrasion is not in direct contact with the tooth structure, removing only the minimum necessary to prepare or clean the tooth, eliminating the risk of chipping and stress fractures. With the lack of vibration, noise and heat that is often produced with drills, patients feel more at ease with minimally invasive dentistry. Some units also use a solution that combines with the powder and compressed air to produce a powerful stream that blasts the tooth with varying intensity. A valuable tool for hygienists and dentists alike, air polishing units allow complete and highly efficient stain removal, cleaning, removal of remnants of orthodontic resin and desensitising. A good air abrasion unit can clean into the fine structure of the tooth, which conventional cleaning systems or methods cannot do. 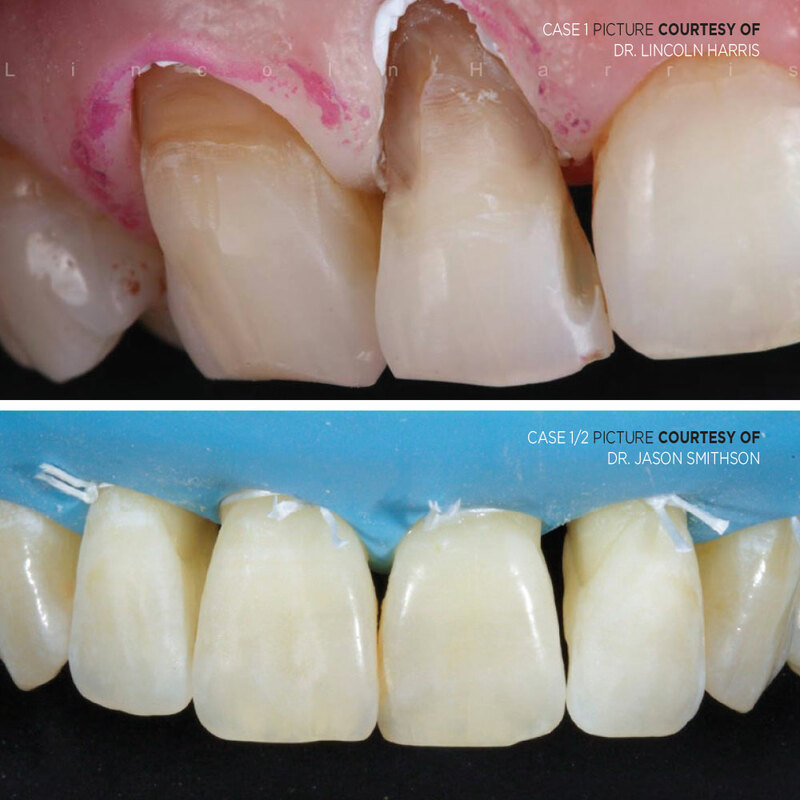 Whilst prepping a tooth for restorative procedures, a clean and uncontaminated tooth can increase bond strength and improve the quality of any restoration. 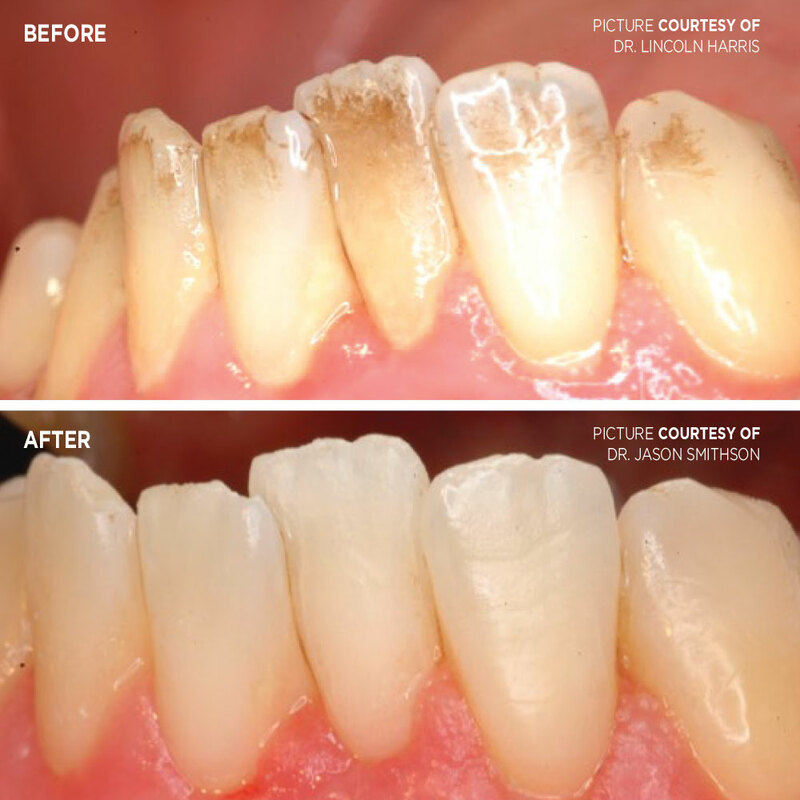 Whether preparing a tooth for adhesion or restoration, cleanliness is the cornerstone of effective treatment, which can be easily and quickly achieved with air abrasion. Optident has pioneered air abrasion in many products over the years but with the arrival of AquaCare from Velopex International, we are excited to share the capabilities with our customers. The versatility and quality of this unit has impressed us, and we think it can create the cleanest and most prepared foundation for restoration and adhesion. With the interchangeable range of powders and tips, a solution for every restorative procedure is available and combined with its superior cleaning power, it’s the must-have air abrasion unit. It’s not only Optident who recommend the AquaCare unit, over 100 key opinion leaders around the world recommend AquaCare as our chosen air abrasion and polishing unit. Book your free AquaCare demonstration with one of our product specialists in your practice today to explore more about how air abrasion and the Aquacare Unit can help you. Another alternative that Optident is proud to provide is the Ronvig DentoPrep Microblaster which uses aluminium oxide powder for cleaning and micro-roughening of ceramic, composite and metal surfaces prior to cementation, offering optimal bond strength. 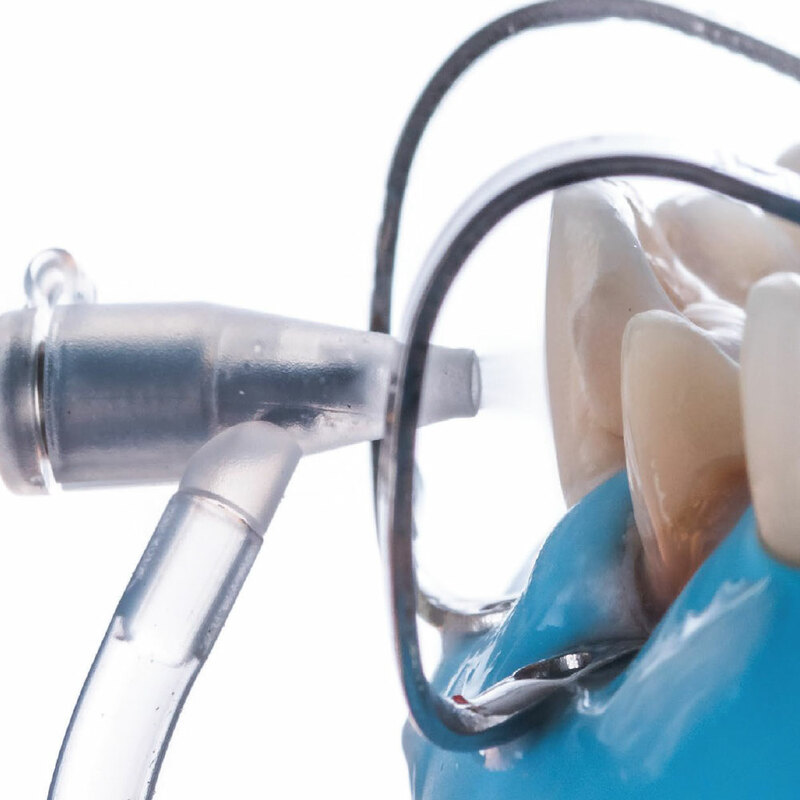 The DentoPrep nozzle can rotate 360° for easy access to all areas of the oral cavity and is great for both intra-oral and extra-oral applications. To find the correct abrasion for different treatments or procedures, air abrasion units often accept a multitude of different powders, made with a variety of different materials. Air abrasion powders typically contain Aluminium Oxide or Sodium Bicarbonate for abrasion and cleaning. The Ronvig DentoPrep uses Aluminium Oxide powder that has a particle size of 20-80 um which ensures reinforcement of adhesion with bonding agents. As new powders are developed, new techniques and treatments are becoming available for patients. For example, the Sylc powder for the AquaCare unit can clean and polish but also desensitise by occluding the dentinal tubules. With the AquaCare unit, powders can be switched in only one second, allowing you to switch between abrasion and polishing quickly and efficiently, without having to stop treatment. Minimally Invasive Dentistry or MID is the practice of dentistry that respects the health, function and aesthetics of all oral tissue by preventing disease through minimal tissue loss. 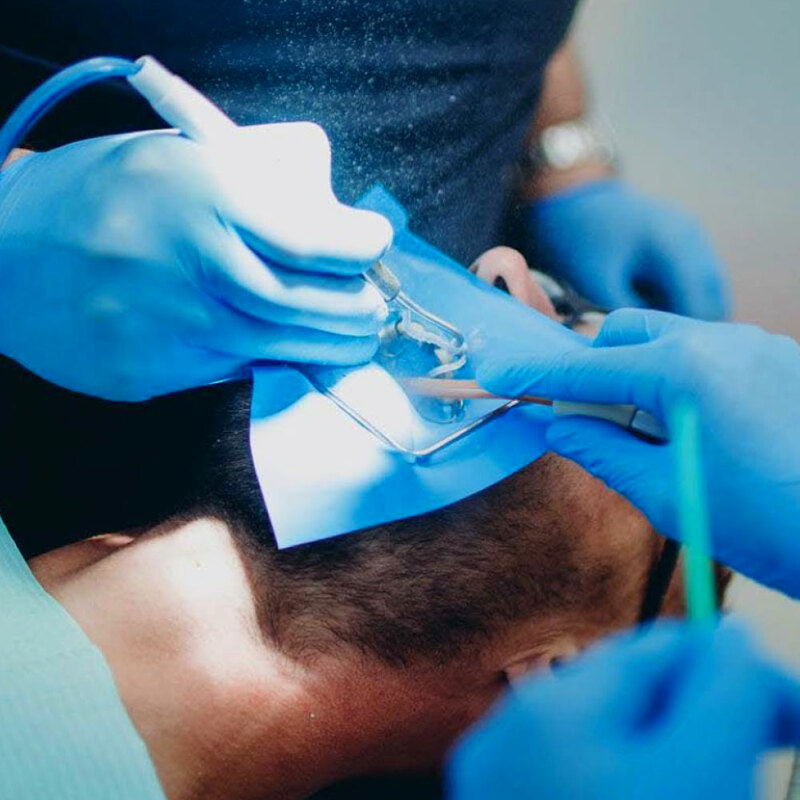 Minimally invasive dentistry can also be explored in laser dentistry, where tissue loss is significantly less in cutting than traditional methods such as cutting with a scalpel and preventing or intercepting disease by minimising harmful bacteria. Air abrasion minimises impact on oral tissue by not coming into direct contact with the tooth or gum, and by removing infected, damaged or unwanted tissue quickly, efficiently and with minimal impact. In addition to this, the unique Sylc powder from AquaCare can help to occlude the dentinal tubules and cover the entire dentine surface. 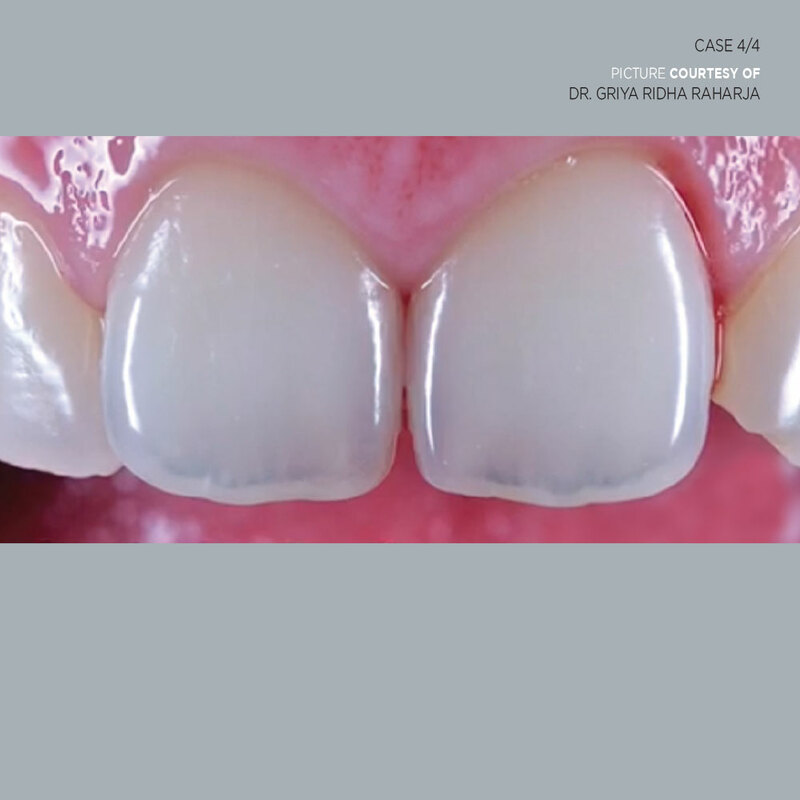 When conditioned with a universal adhesive, a Bioglass-rich smear layer is still available on the tooth surface for conversion into apatite at the resin-dentine interface; lowering the risk for postoperative sensitivity. Learn more about air abrasion and air polishing in our range of courses and masterclasses that can help you learn the most efficient and effective ways to clean and prepare with the AquaCare unit. Browse our dental courses and develop your skills with industry leaders. Discover how air abrasion can change your practice with a demonstration free of charge available for any UK based dental professional. Fill out our demonstration request form to book your meeting and start your journey with Optident. Simply fill out the form below and one of our product specialists will be in touch to book in your demonstration, completely free of charge.